The Nationals offense remained missing in action on Friday as Bud Norris and Lucas Harrell combined to throw six shut out, no hit innings as the Astros beat the Nats 5-1, keeping Washington winless over their last 10 Grapefruit League games. Stephen Strasburg had his best outing of spring going five innings and giving up one run on two hits and a home run as the Mets shutout the Nationals 2-0 at Digital Domain Park. 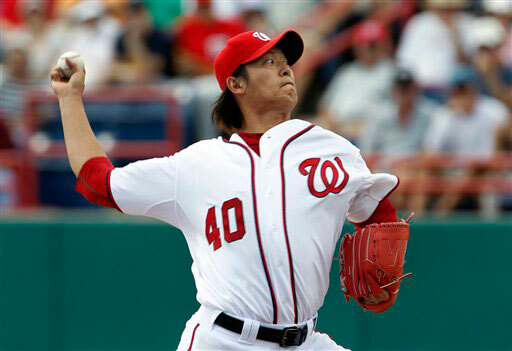 Washington Nationals pitcher Chien-Ming Wang suffered a left hamstring strain in the third inning of the Nat 8-5 loss to the New York Yankees at Space Coast Stadium on Thursday afternoon. The Nationals are expecting big things this season. As a prelude to what could transpire on the field, one of the biggest things will be served up at the Red Porch: The 8-pound StrasBurger. 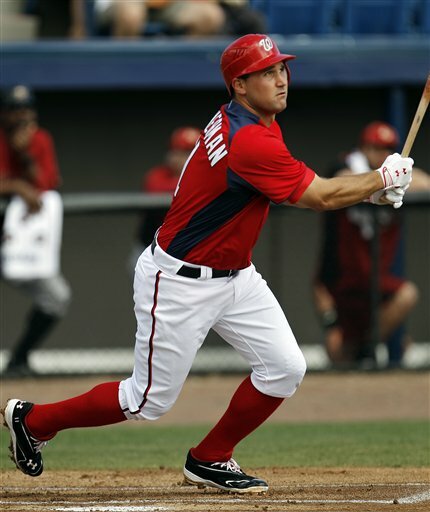 Ryan Zimmerman homered and drove in two runs and Mark Teahen also drove in a pair as the Nationals walloped the Astros 8-0 at Space Coast Stadium. 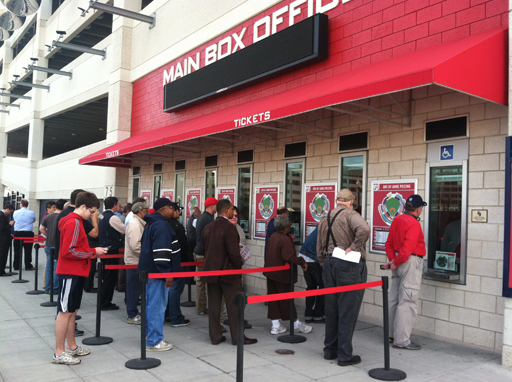 In the weeks leading up to Opening Day, hope springs eternal at major league ballparks. 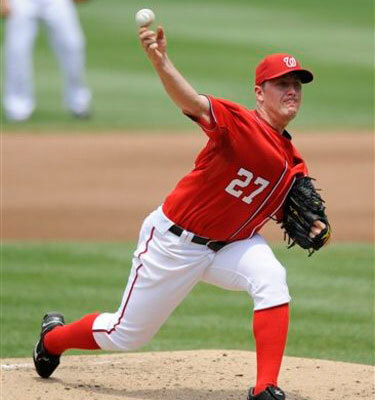 Jordan Zimmermann pitched three scoreless innings in his Spring Training debut as the Nationals and the Cardinals played to a 3-3, nine inning tie at Space Coast Stadium. 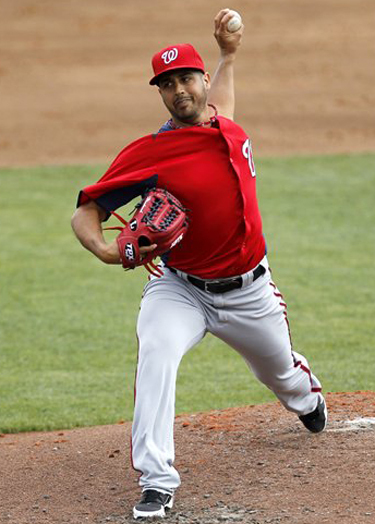 Gio Gonzalez pitched three scoreless innings in his first start of the spring while Jayson Werth and Mark DeRosa each homered as the Nationals beat the Braves 5-2. 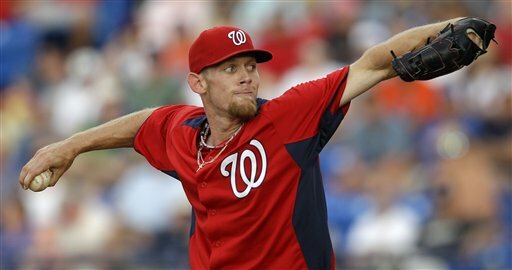 As Nationals right-hander Stephen Strasburg gets ready to embark on his first full season after Tommy John surgery, manager Davey Johnson is keeping a watchful eye on him to make sure he is not overthrowing but he has no doubt that Strasburg is ready to go. The 32-year-old went through all of spring training last year knowing there was something wrong with his left shoulder. Who will be the next racing president? 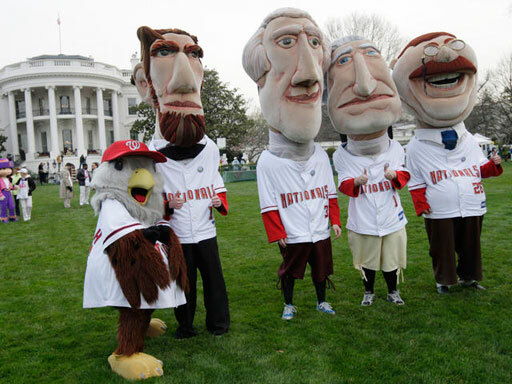 The Nationals are hosting a second round of tryouts for positions as the team\’s four presidential mascots.